When Star Wars Episode IX found itself in need of a new director and writer this summer, fans were hopeful that Lucasfilm might choose a filmmaker whose sensibilities felt appropriate to the galaxy far, far away. One of the early assumptions, or pipe dreams, was that the job might go Rian Johnson. Who better than the man writing and directing the next film in the franchise, The Last Jedi, to shepherd the new trilogy to its conclusion? 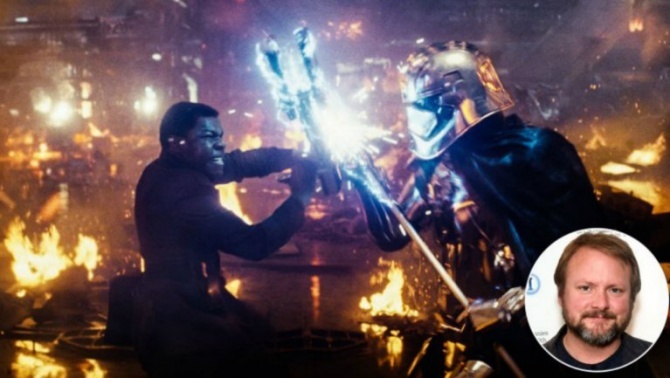 In the end, The Force Awakens’ JJ Abrams was brought back to the fold for Episode IX, and Johnson kept his focus on the film opening next month. But based on Thursday’s encouraging entertainment news, Johnson had a perfectly good reason for staying away: he’s going to be spending even more time with Star Wars in the years to come. The news is simple and tantalizing enough: Johnson is going to develop a new trilogy of Star Wars films, the first of which he will write and direct. It would be easy to decry the loss of one of the best indie filmmakers of the early 2000s to a big blockbuster franchise, but Johnson proved in earlier films like 2006’s Brick and 2012’s Looper that he deserved a large-scale canvas on which to tell more of his idiosyncratic stories. A month out from The Last Jedi, it’s still unknown if the movie will be akin to The Empire Strikes Back, a darker second chapter that may become the most beloved in the current trilogy. But this much is clear: Lucasfilm chief Kathleen Kennedy must be one of Johnson’s biggest fans.